The Audemars Piguet Royal Oak is an icon of horology. Launched in 1972, designed by Gerald Genta, it is the forerunner to define the genre of watches we now know as luxury sports watches. The original Royal Oak was launched in stainless steel, with a stainless steel bracelet. And cost more than gold watches of the day. It is still a design revered till this day. Although it has undergone many revisions along the way, it remains largely faithful to the original. Even the more outlandish Royal Oak Offshore carries the well defined DNA design codes. As well as the later designs of the Concept case, and the latest revised shape. 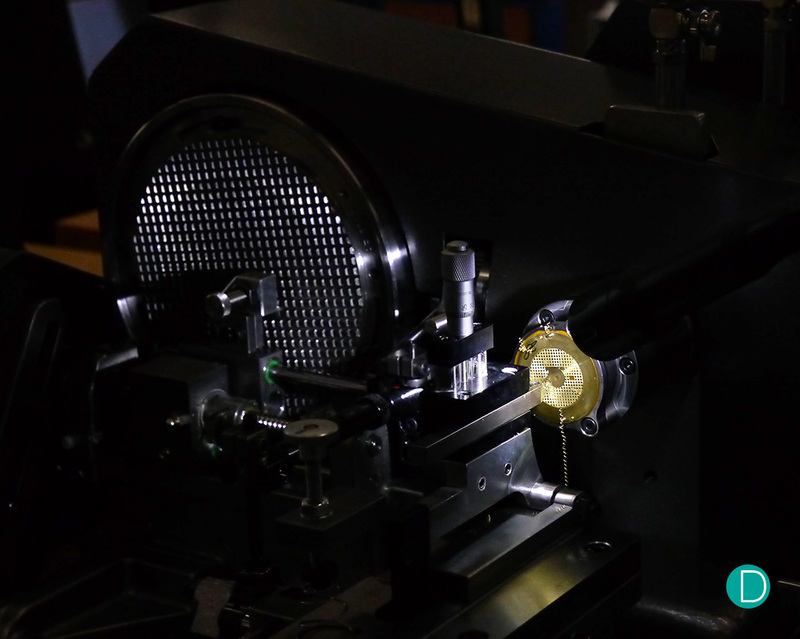 We went to Le Brassus to visit the manufacture, and bring you here the case and dial factory where the Royal Oak is manufactured. Audemars Piguet is a grand maison of the highest order. The house is historically important, being in founded in 1875 and has been in continuous operations and family ownership since its inception. 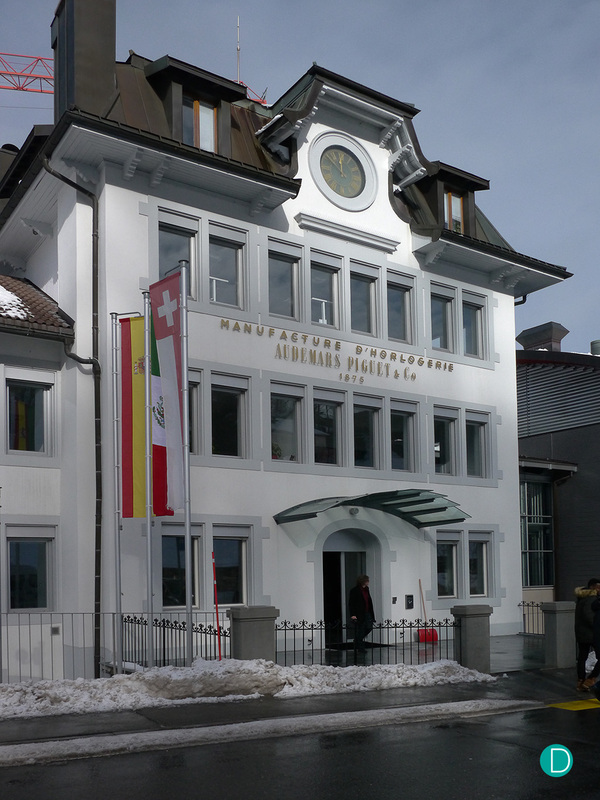 They have a museum, a restoration department which will undertake work not only on Audemars Piguet watches of any vintage but also on any watch made in the Valee de Joux by a manufacturer no longer in existance. They have a Grande Complications department and full manufacturing capability, from movements, to cases, dials, and bracelets. And as part of the extension to their manufacturing prowess, they also have ownership of Audemars Piguet Renaud Papi, a venerable think thank and problem solver of the industry. The headquarters building stands proud and catches a glimpse of light through the clouds in this chilly morning on January 2018. They design, do the prototyping and manufacture almost all the components used in their watches. 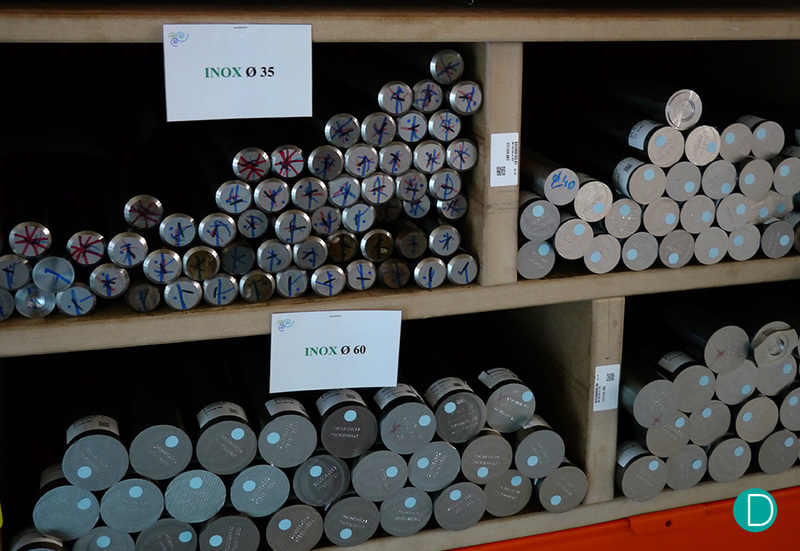 With most of the critical components, they start with raw materials. Like the steel ingots shown in the photograph below. For today’s article, we will focus on the dial and case manufacture. It is located in a building not far from the main headquarters building. The early dials on the AP Royal Oak are what is known as Petit Tapisserie. These are made with the traditional rose engine to make the guilloché. This is a rather slow, laborious and skill intense process making one dial at a time by the hand of a single artisan. With volumes demanded by the success of the Royal Oak, relying on this hand process is too time consuming and will be the bottleneck to hold up the production line. AP re-introduced this engine turned petit tapisserie dials not long ago, and the process we describe here is how these dials are made. To solve this, AP designed a system of computer operated rose engines, similar to the old ones, but which can be operated by computers instead of a skilled hand. This is a unique system, as the industry does offer one, the machines are purpose built for the specific and sole use by AP. 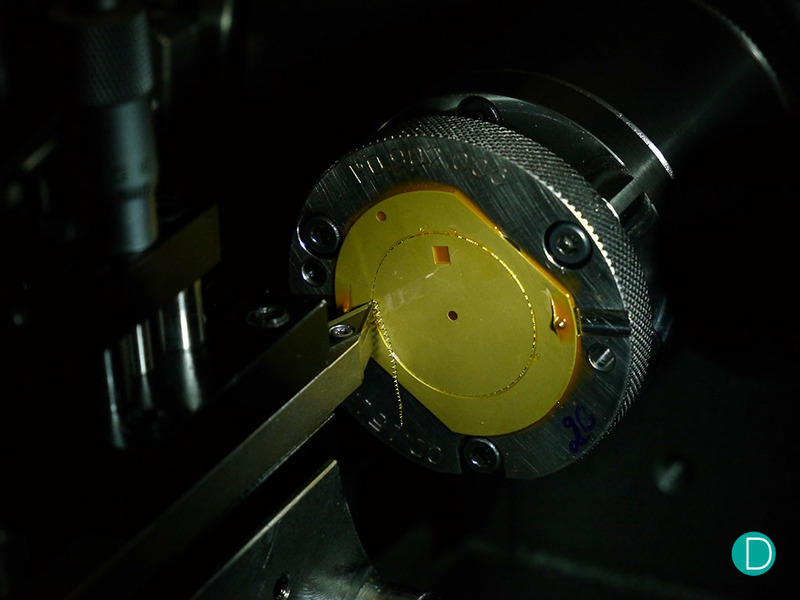 As can be seen in the video above and in the photograph below, the machine cuts a groove into the brass dial substrate to create the tapisserie pattern. 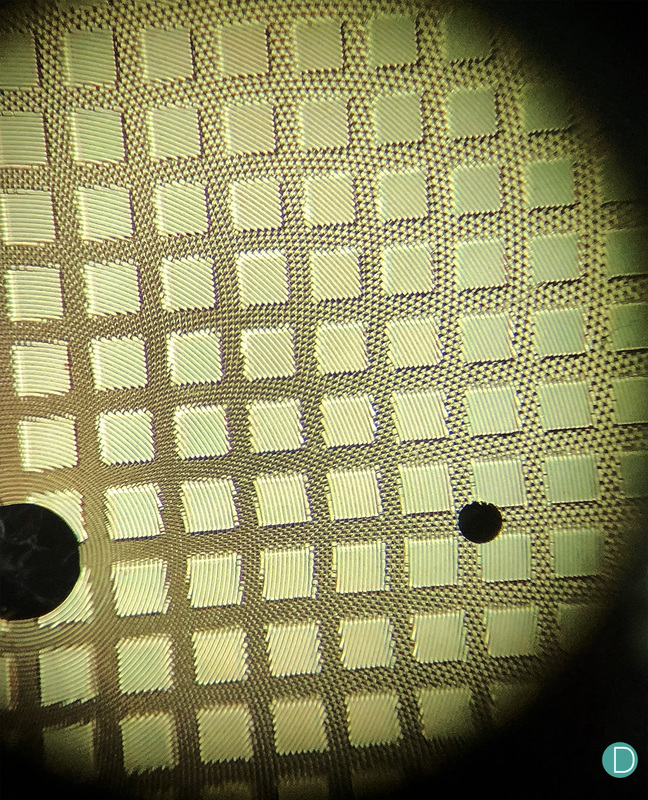 Like in the traditional rose engine, it does the pattern by following a disc with the magnified relief pattern. Much like the local Mr. Minute uses your original key as a template to duplicate a key. Except that the template in this case is larger, and thus affords a higher resolution when translated to the smaller dial. Each square on the petit tapisserie dial is 0.49mm². The petit tapisserie pattern as seen through a microscope (15X). It is clearly seen that the patterns are made as a guilloché. As we understand it, the mega tapisserie dials on the Royal Oak Offshore are stamped in a different process. 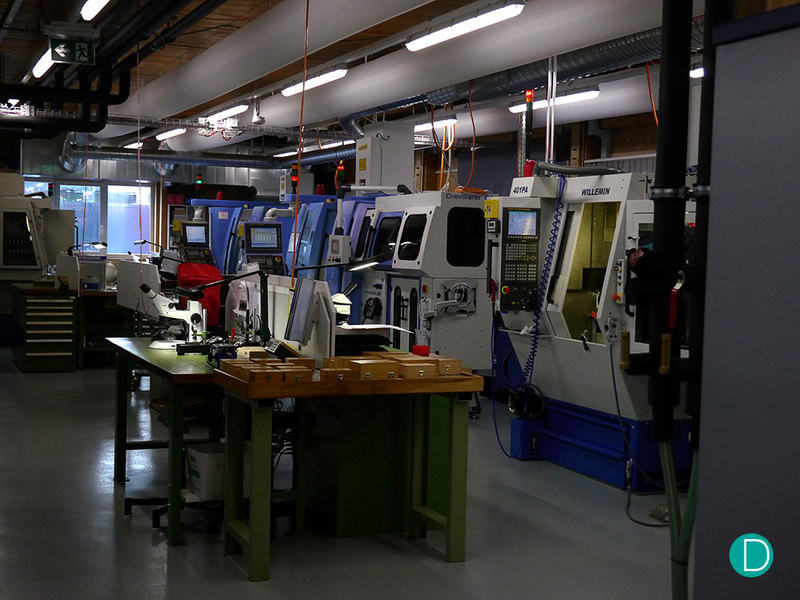 The case manufacture is a rather standard operation of CNC machines whirring away to machine the complex case shapes. And the cases, shrouded in a protective varnish sprayed on the surface to protect the finishing or the surface while the case goes through another finishing step. 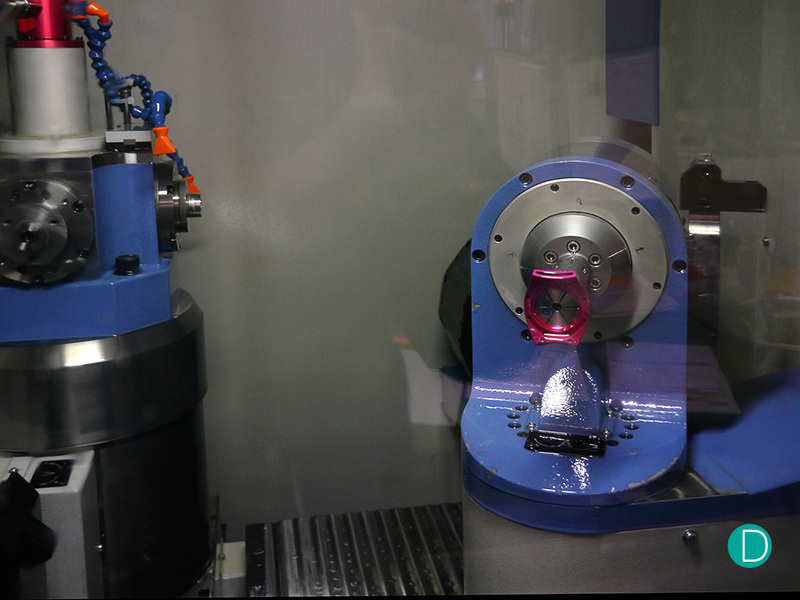 This case manufacture is quite a standard process, and used by many manufacturers. We show this because many watch maisons do not make their own case or dials, but these specialist items are usually outsourced. We take a close look at an item, which is part of the case, which is unique to AP. The Royal Oak bezel. The distinctive bezel of Royal Oak is of some interest to us as we perused the factory. 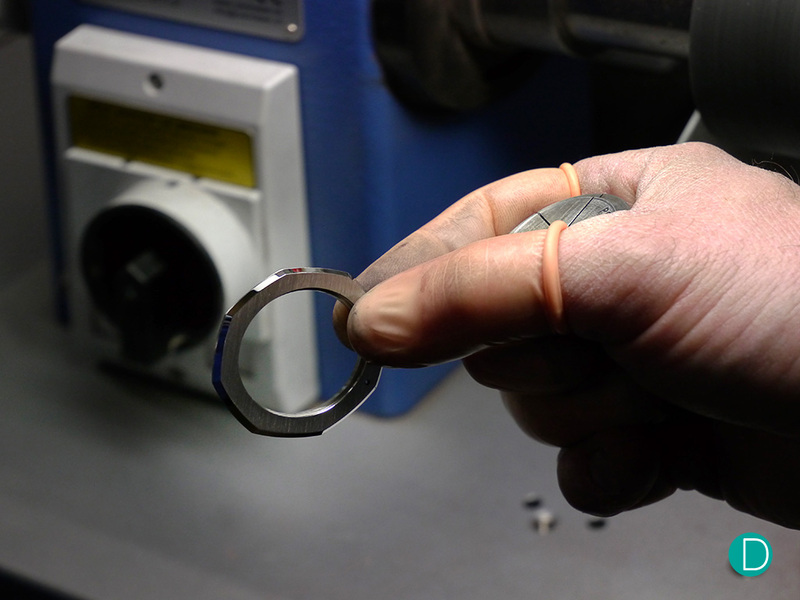 The bezel is cut and manufactured by a CNC process rather similar to the one used for cases. It is then given a differential finish alternating between high gloss polish and straight graining. The edges of the octagonal shape of the bezel also needs to retain a well defined edge, and be perfectly aligned to the matching edges on the case body. 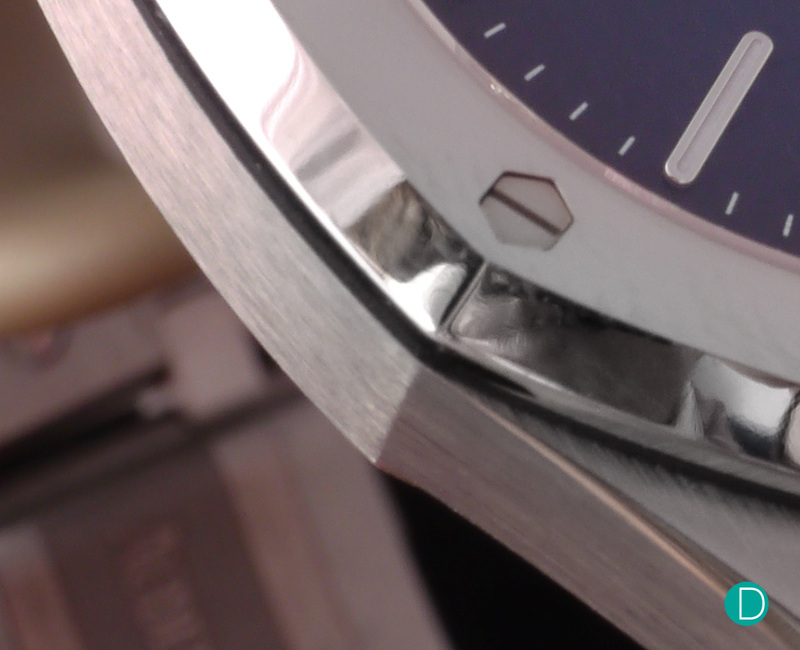 The polished edges of the bezel have an edge which must align with the edges on the case middle. While any mis-alignment is easy to spot with the naked eye, it requires considerable skill to ensure perfect alignment. 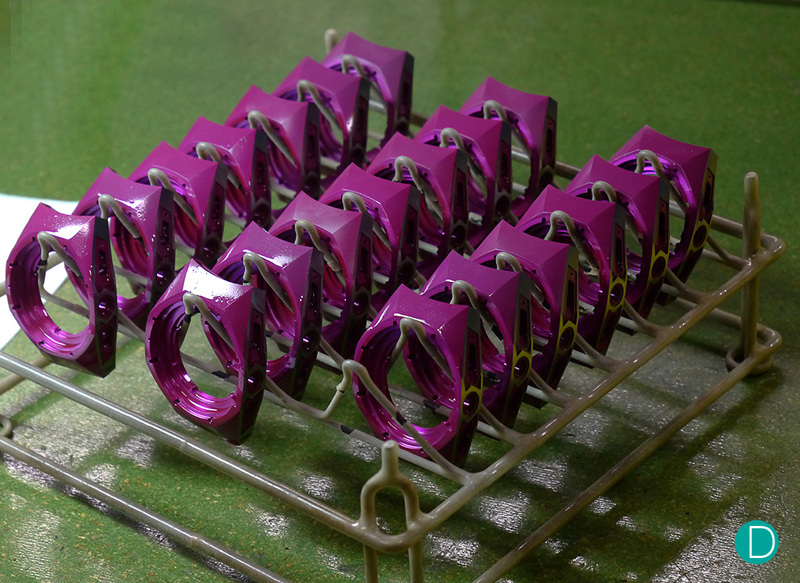 The entire polishing and graining process is done by hand. And this requires a very high level of coordination of the operator to ensure that the finishing is done properly while also ensuring that the alignment of the edges are perfect. It may seem trivial, but it is a highly skilled operation as with each polish and and grind to get the desired effect of the high gloss and brushing, material is removed, and the edge may move in one direction or the other. The high gloss polish is achieved through a series of polishing with paper of decreasing granularity. This may take as many as 4 to 5 steps to achieve the finish desired. The surface is then given a buff polish for the high gloss effect. 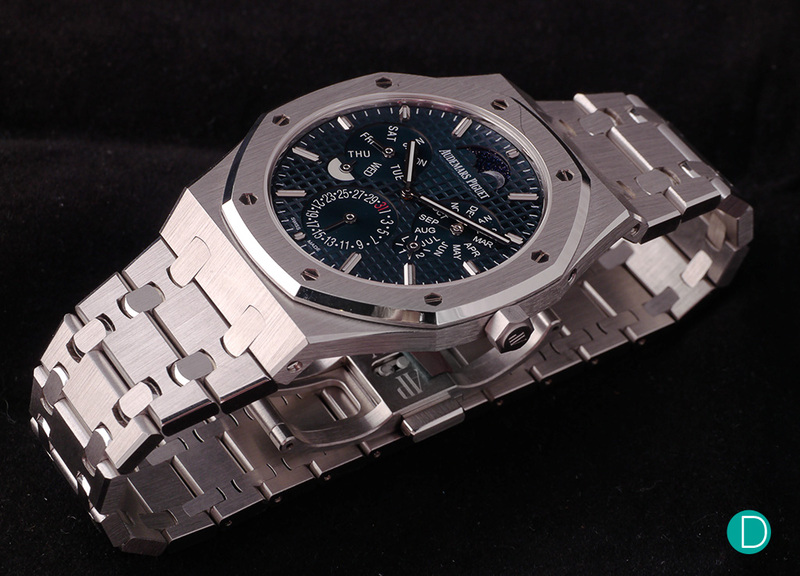 And as installed on a watch, shown here is the AP Royal Oak RD#2 Ultra Thin Perpetual Calendar in platinum. 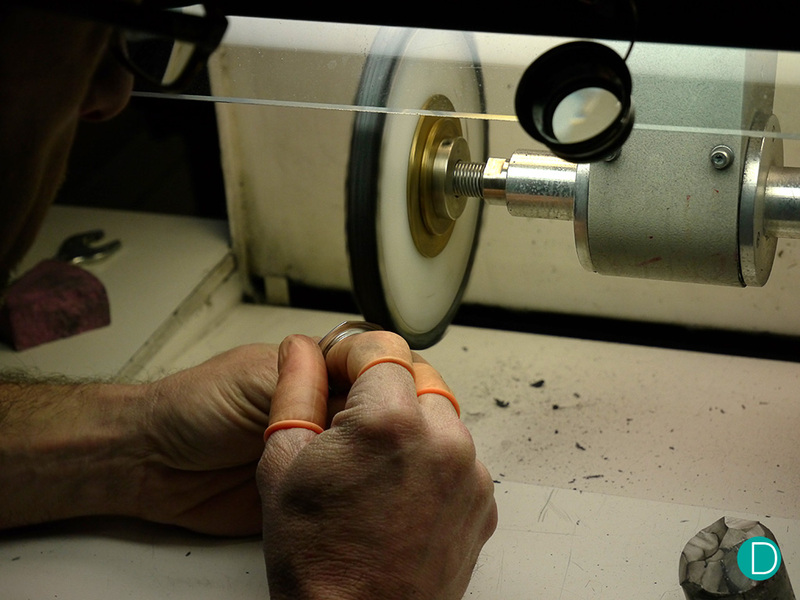 The manufacturing process is the same for gold, platinum or titanium bezels. We spent the good part of the afternoon touring the case and dial factory. And came away with a better appreciation on what goes into the manufacture of the iconic case and dial of the AP Royal Oak. The almost complete independence of the family owned maison is remarkable. Their dependency on outside contractors seem to be very minimal. Other than the case and dials, they also make the appliqués for the indices, and the hands. Of course, the maison is also famed for their ability to design, prototype and build movements from ground up. Even high complications are created in-house. 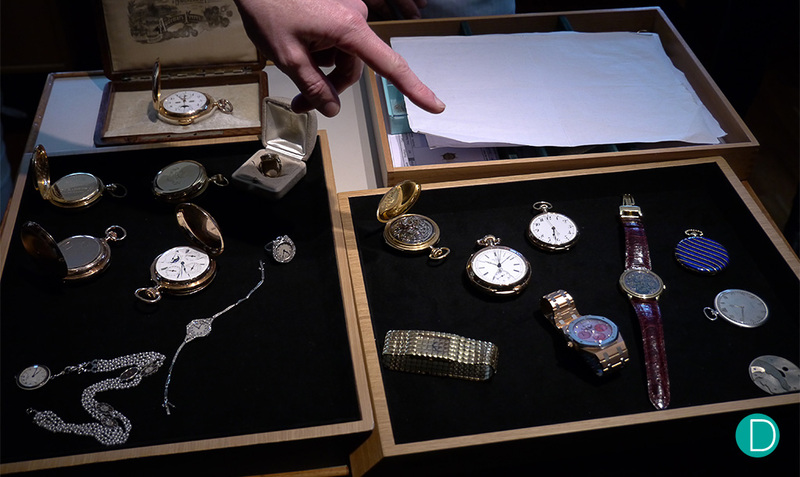 We visited the atelier of the Grande Complications department and the Restoration department, and will share that visit in another report later. Two trays of watches from various vintages which have been restored by the Restoration Department.